The DCP is the brain of the ecosystem as it acts as a two-way data link allowing information to flow in and out of the lift shaft. This data flow enables configuration and monitoring of all devices on the MK CANBus. MK CANBus is the easy to install connection between the Avire Ecosystem devices. All information sent via the DCP is presented on our secure cloud-platform, the Avire Hub. The CANBus Splitter and Universal Power Supply are accessories to the system. The CANBus Splitter allows for up to 4 CANBus lines per splitter and two splitters can be used per DCP. 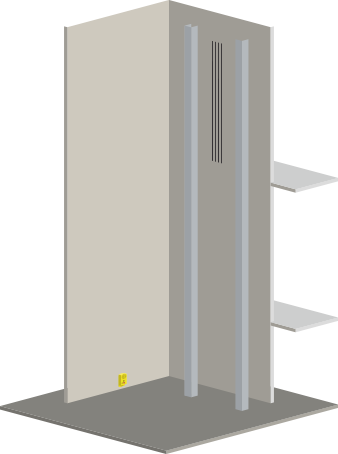 The DCP can therefore work with multiple lift shafts. The DCP is the brain of the ecosystem and is the perfect solution for modernising your lifts to introduce a cellular connection for emergency communication systems and introduce smart decvices that save time and money, without and entire replacement of lift or lift controller. The two-way data flow using MKCANBus between smart devices, the DCP and the Avire Hub, our secure cloud monitoring software, allows for remote configuration and updating of firmware. MK CANBus is the easy to install connection between the Avire Ecosystem devices. Maintain your lifts efficiently using the latest technology. The DCP is the brain of the ecosystem as it acts as a two-way data link allowing information to flow in and out of the lift shaft. It can replace PSTN diallers and upgrade to GSM connection and it is also used for remote configuration and monitoring of all devices via the Avire Hub. MK CANBus is the easy to install connection between the Avire Ecosystem devices. All information sent via the DCP is presented on our secure cloud-platform, the Avire Hub. The Lift HAWK is the solution for monitoring the status of your lifts remotely. When fitted on the top of the lift car (TOC) the Lift HAWK remotely moves the lift to check that it is functioning properly with lift tests initiated via the Avire Hub. The HAWK also self-learns the typical activity of a lift and can autonomously perform lift tests in periods of prolonged inactivity. Modernise your lifts with Lift HAWK with the ability to remotely check functionality. Initiate a Lift HAWK test via the Avire Hub when needed and the HAWK will attempt to move the lift with reports sent back to the hub if successful or unsuccessful. The Lift HAWK also autonomously learns the regular pattern of lift use and in periods of prolonged inactivity will attempt to move the lift, sending an alert to the Avire Hub with the test result. 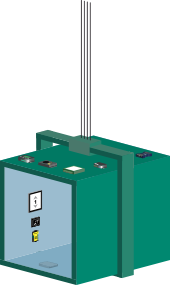 The Lift HAWK is the solution for monitoring the status of your lifts remotely. Lift HAWK helps to avoid unecessary site visits and triggers a warning if a lift is unable to move. When fitted on the top of the lift car (TOC) the Lift HAWK remotely moves the lift to check that it is functioning properly with lift tests initiated via the Avire Hub. The HAWK also self-learns the typical activity of a lift and can autonomously perform lift tests in periods of prolonged inactivity. COMING SOON: The connection of CONNEX pushes an alert to the Avire Hub through the DCP when a lift controller sends the ‘lift out of service’ signal and the device can also be programmed to monitor how much time engineers are on site. CONNEX also saves time by allowing remote restart of the lift controller and can be used to trigger the siren when alarm push occurs. COMING SOON: Receive alerts on the Avire Hub when your lifts send ‘out of service’ signals and monitor engineer’s time spent on site by connecting CONNEX, the I/O Module to the ecosystem. Trigger a restart of the lift controller remotely and also control the siren using CONNEX as a part of the Avire Ecosystem. Replacing broken light curtains? Why not offer your customer an upgrade that offers increased passenger protection, decreased door damage and also offers intelligent features to monitor the light curtain and check its status. A new controller has been launched for Panachrome+ including a CANBus connection. The smart controller sends data back to the Avire Hub via the DCP with information such as number of timed out diodes, door blocks, region of the blocked diode on the light curtain and number of door cycles. Alerts can be set up so that you are notified on the go via email. The Avire Hub is a cloud based platform for monitoring and configuring devices. Specifically designed for the lift industry the secure platform allows you to view your lift portfolio online, perform tests to check lift functionality, monitor EN81-28 background calls and receive real-time feedback and alerts. Click on the products to see how they can be of use to you and your customers. Change the scenario to change the application. A new controller has been launched for Panachrome+ including a CANBus connection. The smart controller sends data back to the Avire Hub via the DCP with information such as number of timed out diodes, door blocks, region of the blocked diode on the light curtain and number of door cycles. Alerts can be set up so that you are notified on the go via email. The only light curtain that truly modernises your lifts. The new smart controller sends data back to the Avire Hub via the DCP with information such as number of timed out diodes, door blocks, region of the blocked diode on the light curtain and number of door cycles. Alerts can be set up so that you are notified on the go via email. This connectivity, combined with the well-known improved safety and door protection provides benefits beyond all other light curtains on the market. There is no need to replace the COP or wire to the lift controller when you install the PRP display and Nav Box. The Navigation Box is easy to configure and inbuilt sensors provide floor position information to be shown on screen. Tact switches allow for display configuration to be done on site. The PRP offers a high quality picture display that quickly and easily updates your lifts. The easiest upgrade of displays, ever. Go from old fashioned dot matrix to beautiful high quality LCD in minutes. There is no need to replace the COP or wire to the lift controller when you install the PRP display and Nav Box. The Navigation Box is easy to configure and inbuilt sensors provide floor position information to be shown on screen. Tact switches allow for display configuration to be done on site. Have you got a broken dot matrix that needs replacing? Offer an upgrade that cuts out the hassle associated with regular installation of new LCD displays. With the PRP and Nav Box there is no need to replace the COP or wire to the lift controller. The Navigation Box is easy to configure and inbuilt sensors provide floor position information to be shown on screen. Tact switches allow for display configuration to be done on site. The PRP offers a high quality picture display that quickly and easily transforms your lifts. The Digital Audio Unit (DAU), Triphony Unit, Inductive Loop and Pit Phone (DAP) build the EN81-28 compliant emergency telephone feature of the DCP. The DAU sits behind the COP panel with Triphony units providing TOC and BOC communication points, or alternatively a DAP can be used in the pit to provide an alarm point at the bottom of the shaft. Inductive Loop provides EN81-70 compliance. COMING SOON: Receive alerts on the Avire Hub when your lifts send 'out of service' signals and monitor engineer's time spent on site by connecting CONNEX, the I/O Module to the ecosystem. Trigger a restart of the lift controller remotely and also control the siren using CONNEX as a part of the Avire Ecosystem. COMING SOON: Maintain your lifts efficiently with CONNEX. Restart the lift controller remotely via the cloud-based Avire Hub and save maintenance engineer's valuable time. Be updated when your lifts send out of service signals and use CONNEX to control the siren when alarm push occurs. Our Communication System consists of 2 core elements and a potential for several extremity components providing data to these 2 core elements. The heart of the communication system is the DCP; a platform allowing two-way data communication and this data comes to life through the Avire Hub cloud interface. The DCP allows customers to send and receive data to and from connected devices within the lift shaft, it provides a data link which feeds into and from our intuitive and easy-to-use cloud platform. Using data to improve efficiency is not a new concept and the Digital Communications System brings this to lifts, without the cost and hassle of installing a new controller. With remote configuration and monitoring the DCP allows customers to have real time information regarding lift status for the purposes of predictive maintenance and to inform decision making. The Memco DCP combines a GSM gateway, emergency telephone and M2M gateway in a single unit. The system is EN81-28 compliant and allows you to upgrade a system from PSTN to GSM. The DCP allows you to reliably configure, update and monitor devices remotely. Avire’s cloud monitoring system allows you to see your entire lift portfolio online, to spot when a site visit is actually necessary, to remotely update displays and other equipment, to stream data live from lift controllers or sensors, and to do all of this within a safe and secure digital environment. A common issue for lift engineers is being called out to site to check an ‘out of service’ lift, however, the lift is often ‘running on arrival’. The Lift HAWK means that maintenance companies can quickly and easily check to see if the lift is genuinely ‘out of service’ from a remote location. The unique retrofit display solution. Less wiring, less time, less hassle. The E-Motive PRP is the only option for easily upgrading to an eye-catching LCD solution. The MRP with Navigation box brings multimedia content to elevators with quick and easy installation. Update your display without having to worry about replacing the entire COP, wiring up to the controller or having the correct lift protocol. Connected Panachrome+ is the world’s most complete elevator door safety mechanism. This premium light curtain has coloured red and green indicators to highlight door movement. CANBus (Controller Area Network) is a vehicle bus standard designed to allow smart devices to communicate with each other through a robust, low-cost message-based protocol. As the elevator industry advances towards connectivity and the Internet of Things (IoT), it is important to understand the cellular network types used. Interesting lift fact: as a group, they carry the equivalent of the world’s population in three days. They have played an important role in shaping our world and our lives. Light curtains for elevator door edges have been the established technology for protecting passengers from door impacts for many years. Their usage is described in the relevant codes in many regions and some basic light curtains can meet the standards. LCD display installations are becoming much more popular when replacing traditional dot matrix displays. With the growth of LCD displays there is clearly an improved visual benefit as you can display richer graphical content but there is also the opportunity for advertising on screens. This can be specifically targeted at demographics based on the installation space. Cloud computing is the delivery of computing services – servers, storage, databases, networking, software, analytics and more – over the Internet (“the cloud”). The implementation of faster and more efficient 3G and 4G networks have reduced the demand for 2G. Providers have reassessed the need to provide 2G and are gradually decommissioning the 2G network. With the evolution of cellular technology, the case for employing mobile phones in elevator communications has become compelling. In this article, we address many common concerns regarding the use of cellular to provide service to elevator emergency phones. Lifts typically use 3 to 5% of the overall energy consumption of a building. Can we reduce this significant energy consumption and develop green, energy-efficient lifts? This article discusses what SIM cards are, the different types of SIM cards and which SIM cards are the best for use in the elevator market. Since 2003, Part 28 has been the industry’s reference for installing, testing, and designing emergency telephones. Now in 2018 we are seeing a major revision. How will the revision affect you? The Radio Equipment Directive (RED) establishes a regulatory framework for “making available on the market” and “putting into service” radio equipment in the European Union. It replaced the prior directive (R&TTE 1999/5/EC) and was effective 13 June 2017. Are SIM cards safe as lift components? Over seven billion SIM cards are in active use globally making them the most widely used security token in the world. Over-the-air (OTA) updates can be deployed by SMS which allows the SIMs to be updated remotely. However, lift engineers have concerns relating to SIM hacking which could mean soaring premium rate bills. Vandalism is a major concern for lift owners; damage through misuse and abuse impacts both the availability of lifts, and passenger safety. 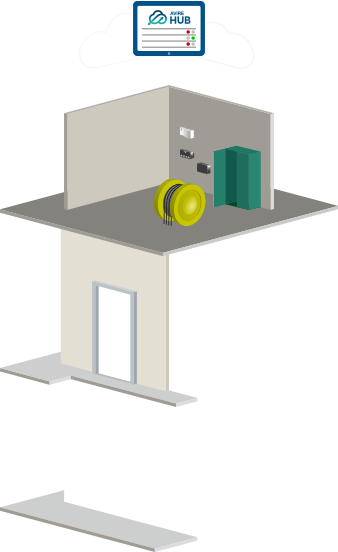 EN81-71:2005 is a harmonised European Standard which outlines additional protective measures to improve the vandal resistance of lift installations. How do Avire’s light curtains achieve enhanced light immunity? When selecting a suitable light curtain for your lift door safety application it is important to consider several factors before making your decision. Diode count, number of beams and response time all play a part in determining the relative performance of a particular detector, and no feature should be judged in isolation. As of September 2017 all new lifts must comply with EN81-20 and EN81-50 Elevator Standards. These standards were approved in 2014 to replace EN81-1 and EN81-2, and after a grace period for the elevator maintenance and installation industry to prepare, these elevator standards are now mandatory for all new lifts. In 2015, the European Committee for Standardisation released an update to the standard for the installation of Firefighter Lifts, EN81-72:2015. This replaced the 2003 version of the same standard. In August 2014 two new standards covering lift design (EN 81-20:2014) and installation requirements (EN 81-50:2014) were released in Europe. These replace EN 81-1:1998+A3:2009 and EN 81-2:1998+A3:2009, which were 15 years old and needed upgrading to comply with modern safety requirements. It is expected that the new standards will also be adopted in China, South America and Australia.